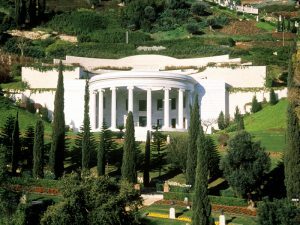 The sacred writings of the Bahá’í Faith are unique in that not only do we still have the original scripture, written by the hands of the founders and succeeding heads of our faith, but that the Báb, Bahá’u’lláh, `Abdu’l-Bahá, Shoghi Effendi and now the Universal House of Justice, wrote so prodigiously. As a result the Bahá’í Faith is blessed with an enormous treasure trove of scripture which enables us to always be able to turn to the authoritative guidance of the writings that form the foundational scripture of our Faith. The original sacred writings were written primarily in Arabic and Persian. All the major works of the Faith’s founders have been authoritatively translated into English and many other languages. A significant portion (some suggest about a third) of the remaining writings have been authoritatively translated into English. It is a testimony to the diversity of the Faith that many of the writings have been translated into over 800 different tongues. Centre for the Study of the Texts, located at the Bahá’í World Centre in Haifa, Israel. 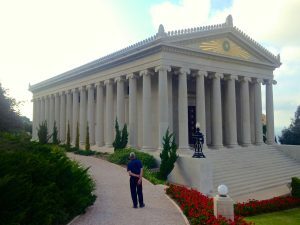 Read the Bahá’í writings online or download selected writings to your computer from the Bahá’í Reference Library. You can also search the authoritative writings or search through other Bahá’í literature.